Free tumblr hit counters – tumblr website counters – tumblr visitor counters. 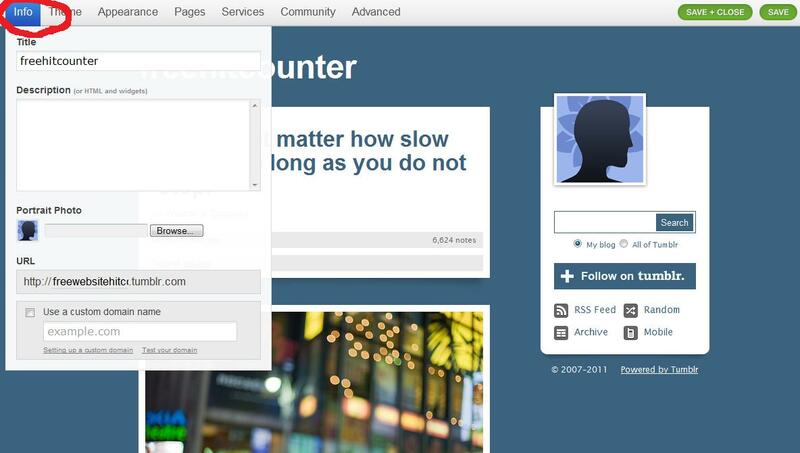 Hit counters for tumblr, Need website counter for your tumblr blog? You have come to the right website. To get a free hit counter for tumblr please fill form below. Our tumblr hit counters are easy to install. 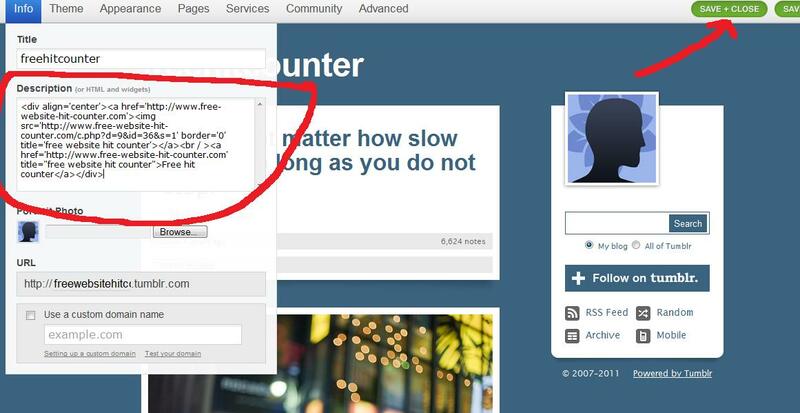 Copy and paste the html hit counter code onto your tumblr blog for it to start counting your visitors. Full instructions on how to install the website counter on tumblr can be found below. Our counters are free to use. Step 1. Log into your tumblr blog admin and click info as in the photo below. 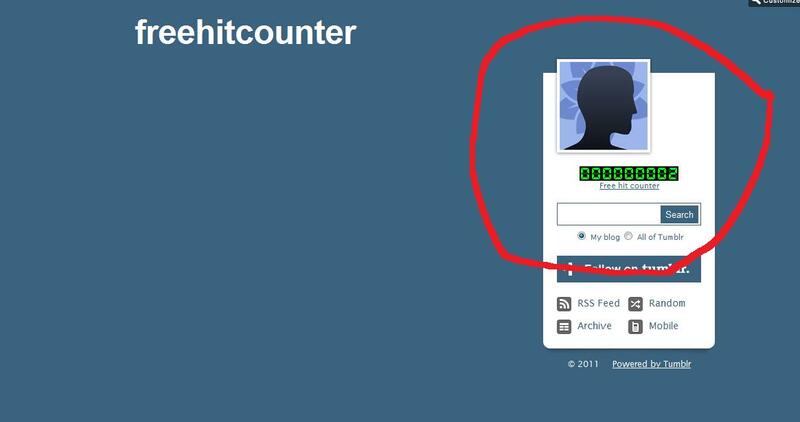 Step 2. paste your free hit counter code in the box and click save and close as in the photo below. Step 3. Your hit counter will now be shown on your tumblr blog as in the photo below.